With the great round, orange pumpkins gathered into a magnificent pyramid, and wanting to celebrate the arrival of fall, Timothy exclaimed, "Let's have a party!" 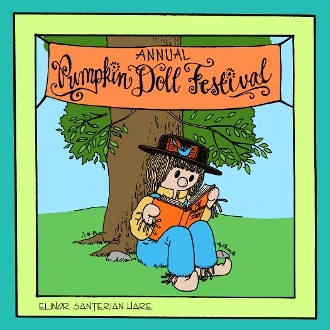 The great question was: Would Timothy, with the help of his mom, Mr. Scarecrow, and the amazing pumpkin dolls, be able to finish the decorations for the first great Annual Pumpkin Doll Festival? !